itel A45 comes with dual rear camera, HD+ full screen along with exciting features priced at INR 5,999, making it an industry first in the sub 6k segment. A compact and sleek design with an 8.6mm thickness, the device comes with Android™ 8.1 Oreo™ (Go edition) OS for smoother and seamless multitasking. The itel A45 is powered by 1.3 GHz processor for fast and smooth performance. The phone comes equipped with premium features like multi-functional fingerprint sensor technology, smart key for bike mode and OTG support. dual rear-camera with bokeh effect to help you with the perfect portrait shots. If you are looking for a sturdy, stylish and reliable set of earphones to fulfill your travel as well as music needs, then this set of earphones is just the perfect pick for you. oraimo, the smart accessory brand from TRANSSION Holdings, has announced the launch of its new set of stylish earphones in India, Shark OEB-E57D. Priced at INR 2,399, the ergonomically designed earphones come with shark fit designed sport tips on each light weight earbud that will stay securely throughout your travel and work out sessions. 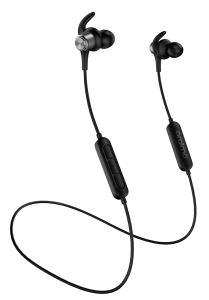 The sturdy and stylish looking oraimo Shark OEB-E57D earphones employ a mix of plastic and metal, which keeps the unit light-weight without sacrificing on the build quality. The neck band is equipped with in line remote and microphone that allows one to intuitively manage music without having to touch the device. The Shark earphones exhibit a standby of 120 hours that will put charging woes at bay. Shark could also power a whole week’s workout. The impressive battery provides a talk time of upto 8 hours continuously satiating the need of music buffs, offering crisper sound quality. Shark’s Bluetooth connection ensures a rock-solid connection to the paired device since they are equipped with Bluetooth Version V4.1 and connect easily with any smart device. 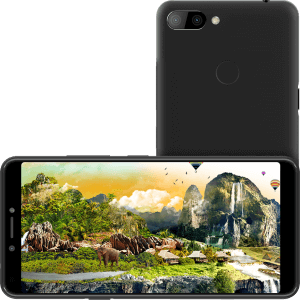 PREVIOUS POST Previous post: Motorola launched their first Android One device in India – motorola one power priced at INR 15,999.